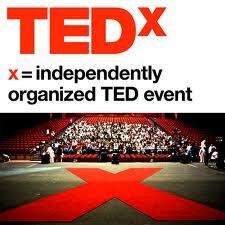 The TEDxBeijing Conference returns on Saturday July 13, 2013, taking place at 751 D-Park next to the 798 Art District. The event’s theme “Old City x New Soul” explores the unique ways in which people are balancing tradition with innovation to solve problems in modern and increasingly urban environments. Inspired by Tradition: How lessons and traditions from the past can be re-interpreted to inspire solutions to problems in transportation, housing, and even social behavior. Voices of Change: Amidst the faceless masses of an urban sprawl, individual stories have the power to shed light on a bigger picture. We explore using storytelling and conversation to combat urban isolation. Community and Convergence: How shared experiences as simple as laughter and as mundane as texting can bring people together to form communities. Self-expression is a powerful tool. Jesse Appell, a scholar and performer of the traditional comedic art of Chinese Xiangsheng (Cross Talk), examines the power of humor to bridge cultural gaps and as a tool for cultural communication. Shannon Bufton, an expert on urban planning and architecture and founder of China’s first bicycle NGO “Smarter than Car,” discusses how lessons from the history of Beijing’s Bicycle Golden Age of the 1980s might help us solve the urban mobility problem of tomorrow’s cities. Lilly Bussmann, co-founder of the Chinese design enterprise Bundshop.com, explores how “rebooting” small talk can restore the soul of conversation and help us have more meaningful social interactions. Jon Kaiman, a Beijing-based reporter for The Guardian covering China’s culture, politics, and environment, discusses what China’s growth teaches us about the power of tradition, storytelling, and the upside of loss. Li Tiantian, founder of DXY.cn, the largest online physicians’ community in China, discusses how Chinese citizens are fighting back against the dangers of false medical advertising using their cell phones. James Shen, Principal at People’s Architecture Office (PAO) in Beijing, explores how relationships, rather than the individual, define Chinese cities and Chinese architecture– and what this means for the future of design in China’s capital. Sponsors of this TEDxBeijing conference include Beijing Commons, Leithon Consulting Group (China), Haworth, G2S Creative Workshop, and 751 D-Park. For more information about TEDxBeijing, please visit www.tedxbeijing.com.